AOMEI Technology company has many software products. AOMEI Partition Assistant is the tool for partition and disk optimization and safety. Their Backupper tool is the utility for system, disk, partition and file backup. Its a free Windows backup software provided by the company, the Standard Edition is the most used edition by people. In total, AOMEI Backupper has six editions; two free and four paid. Another free version is AOMEI Backupper Standard for Win 7. Unfortunately, it does not support Windows XP and Vista. Paid editions are Professional, Server, Technician, and Technician Plus. For ordinary users, its standard version is capable enough to recover most of your work. However, paid editions comes with exclusive and advanced features. AOMEI Backupper has basic and advanced functions related to backup and restores on Windows. Normal functions like full backup, differential backup, incremental backup on file, partition, disk, and system. 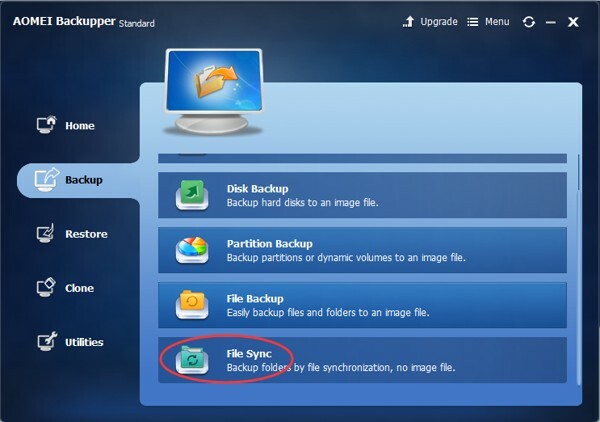 Since Backupper 2.8 version, the backup tab added File Sync function. It can synchronize files and folders automatically with a schedule to local disk, external hard drive, NAS, network shared folder, or removable USB flash drive. 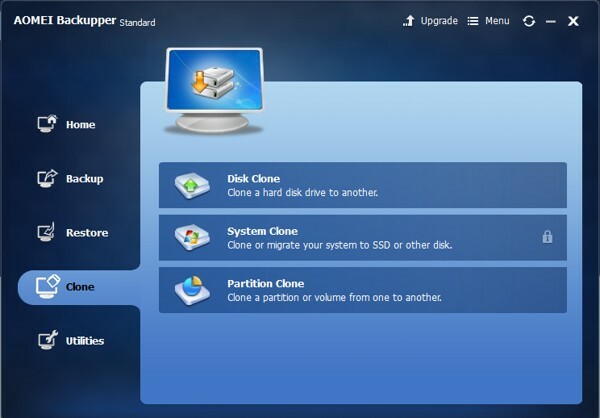 You can also create clones of your data with this tool: disk clone, system clone, and partition clone are available. All editions are free to use these three functions. Just Standard Edition needs to unlock System Clone first. 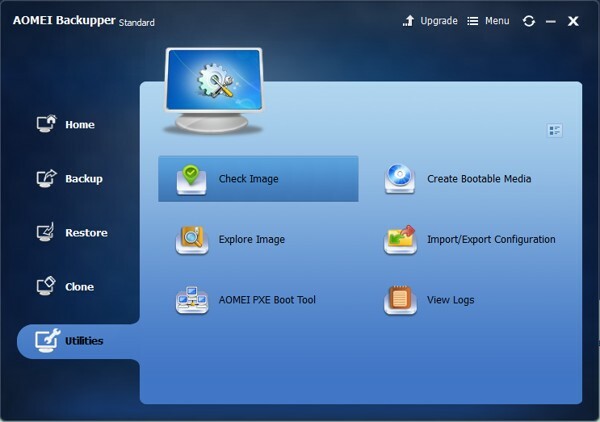 AOMEI Backupper integrates many practical utilities: check image, explore image, create bootable media, import/export configuration, PXE Boot Tool, view logs, and so on. With the latest version, Network backup also included which adds more functionalities and features. About restore, AOMEI Backupper supports universal restore, also named dissimilar hardware restore, selective files restore, restore from the command line, restore with partition alignment, etc. It has event-triggered scheduling backups. 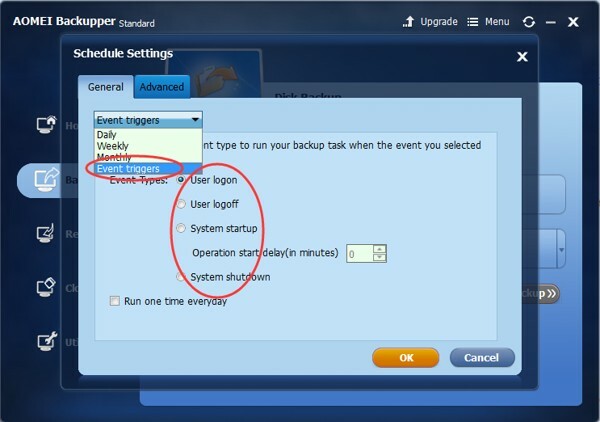 There are four event types: user logon, user logoff, system startup and system shutdown. Once set this feature, it will protect your data better, especially for those many people use one computer. Other backup tools are paid to enjoy this function while costs nothing. It supports multiple languages: English, German, French, Chinese, Japanese, Italian, Dutch, Spanish and Turkish. More and more people realized backup is an important thing, more and more people select AOMEI Backupper. You can download and try it via this page. With the progress of computer technology, AOMEI Backupper is improving. We are looking forward to what’s new in its next version.